Children with Cancer UK has appointed Foulkes as chief executive. Her most recent role was as an HR director in the NHS. The Church Mission Society has promoted Debbie James from discipleship team leader to the new position of director of church and community mission. The global outreach charity has also hired Jim Barker as director of fundraising for mission. He was previously a consultant. 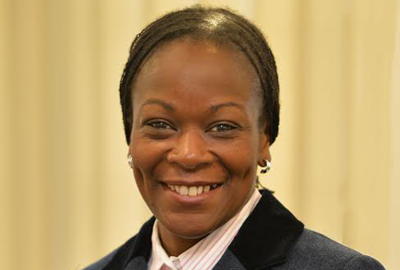 Mercy Jeyasingham has been appointed chief executive of the eye health charity Vision 2020 UK. She has worked as a management consultant, researcher and trainer for the past 13 years. Jeyasingham will begin her new role in July after the current head, Anita Lightstone, retires. Southdown, which provides housing services for vulnerable people in Sussex, has promoted Neil Blanchard from executive director of operations to chief executive. The learning disability and mental health charity the Alternative Futures Group has appointed Sharon Hanner as advanced autism practitioner. She was head of residential services and assistant director of the autism charity A Quiet Place.